Train yourself to instantly know what pre-flop starting hands to play profitably. Get professional advice, and understand the best pre-flop course of action in different positions. Get different advice for 3 different common table conditions (normal, loose/aggressive, tight/passive). This poker training software will let you learn at your own speed or at an automatic, preset rate. Works for No Limit and Limit, 6-Max and Full ring games as a pre-flop quiz. 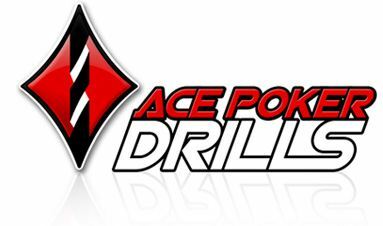 Ace Poker Drills preflop quiz and trainer is poker software that is designed to put you in a variety of common pre-flop poker training situations and test your abilities in a poker test style format. Most poker players have huge holes in their pre-flop strategy, but aren't aware of it. Some of this is out of a lack of knowledge, and for others it can be because of too much ego. Believing you can play almost any two cards and outplay your opponents ends badly in a lot of situations. In some situations that may be absolutely true of course, but in many cases it's not. Everything begins with pre-flop play, and mistakes made in this part of the game only get compounded on later streets. So having a solid strategy is paramount in long term success in no-limit Texas Holdem. Based on my observations and conversations with students, and fellow poker players, it seems that most players got their understanding of what hands to open raise pre-flop, cold call, and 3-bet mostly from starting hand charts, poker discussion, and some trial and error. 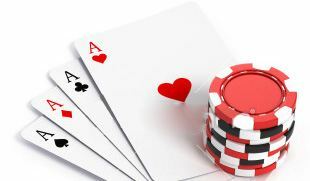 A lot of players I've asked started with some sort of hand chart to begin with, and slowly weaned themselves off into a pre-flop strategy they feel works best for them. Your actual starting hand and its general strength no matter what position you open from will sometimes trump all other questions. Mainly when you hold AA/KK. What is my starting position? How many players will have position on you, and how wide can you open considering the positional advantage or disadvantage you will have post flop. Who opened in front of me? If your opponent is opening really wide this should expand your calling and 3-betting ranges, or vice-versa if they are tight. How good is the opponent who is opening? Who is left to act behind me? Are the opponents left to act really aggressive? Do they squeeze or 3-bet a lot? Are they passive and cold call a bunch? Can they outplay me if they have position? What are the effective stacks of players in the pot? Is there potential for a really big, small or average sized pot? How good are the players who have the deep, average, and shallow stacks? How often do they fold to a raise, re-raise or 4-bet? If your opponent folds to a re-raise a high percentage of the time, widening your 3-bet bluffing range is ideal. Can you steal a lot from this player just by opening? How aggressive is my opponent post flop? Knowing how aggressive your opponent is on the turn and river will help you know what kinds of hands to come along with or dump. Can I outplay my opponent post flop a decent amount? This is always a tricky question because of course we all want to believe yes. Just be honest, and if you're not too sure, then it's usually no. Is there any relevant recent history? Do you have some recent information about some hands your opponent has overplayed that can help you widen or tighten your range? Have you been 3-betting and 4-betting your opponent recently and expect them to react soon? How do others likely perceive me? How active or tight have you been at the table? Have you showed down some big hands or very marginal hands? You should be asking yourself these questions every time you're making a pre-flop decision. If you're missing any of them in your thought process, it's important to take note and make sure you starting asking yourself. Most of the time your decision will be easy; You'll look down at Ks4s and muck it. However, in some situations this same hand could be a call or a 3 or 4-bet if the questions are all answered properly.